Deep, dark, rich, chocolatey, and secretly healthy brownie batter dip, the original dessert hummus recipe! 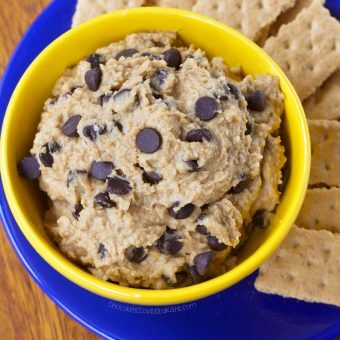 All the way back in 2011, I first posted a recipe for Healthy Cookie Dough Dip With Chickpeas. I’d never heard of a bean-based cookie dough before, and there definitely wasn’t dessert hummus sold in stores. In fact, I worried that people would think I was crazy for coming up with such a thing. 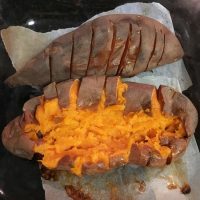 As it turns out, many people did think the idea sounded crazy, but many more were willing to try it… and when they tried it, they found out that, shockingly, it tasted AMAZINGLY DELICIOUS! 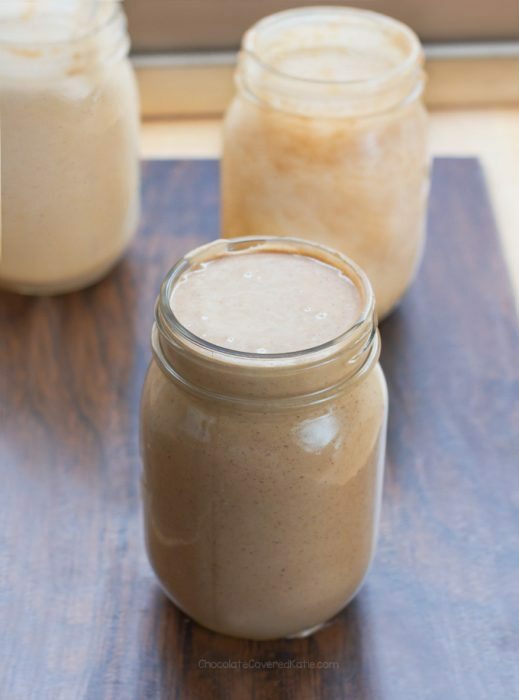 The chickpea cookie dough dip was featured on the national news, and it inspired thousands of bloggers to make and post their own versions of the recipe. 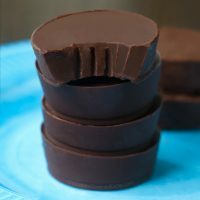 Of course, after the success of the cookie dough, I wanted to come up with a chocolate version as well. 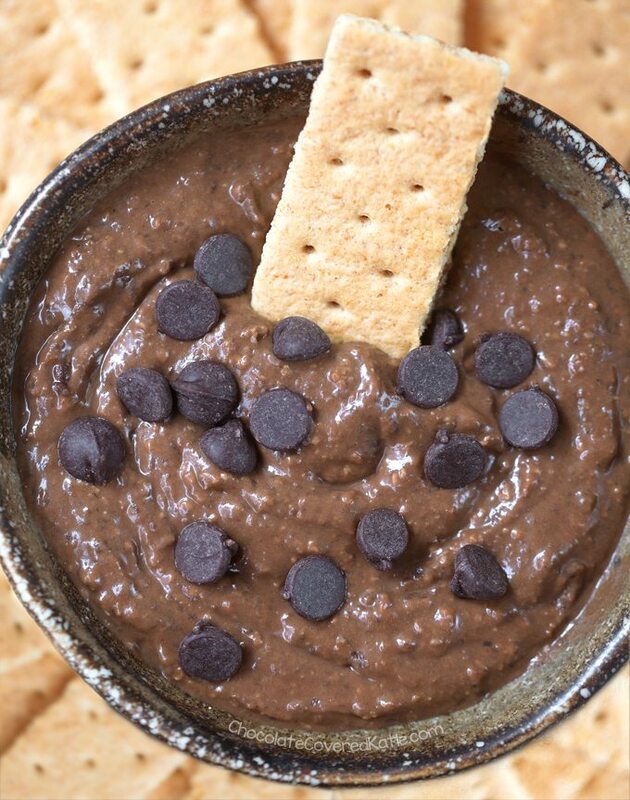 You don’t often hear the words healthy & brownie batter in the same sentence, and it’s true that if you glance at the ingredients, you might think there’s no way this chocolate brownie dessert hummus recipe could possibly taste good or that it could ever be a hit with non-health-food eaters. But the shocking thing is, people love the brownie batter dip. Today’s recipe is an updated version of the original chocolate dessert hummus, or brownie batter dip, that I’d originally posted back in July of 2011. Of course, by now the concept isn’t *quite* as crazy–although I still think calling it brownie batter dip sounds so much more appealing than saying it’s dessert hummus. 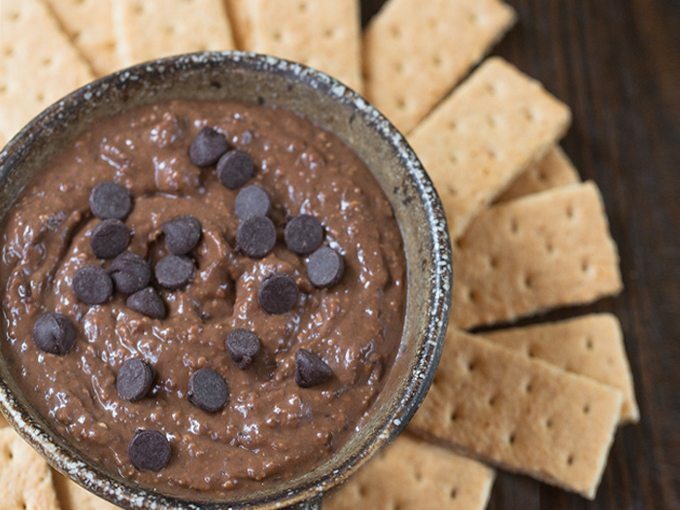 No matter what you want to call it, the taste of this chocolate dessert dip is just really, really good! 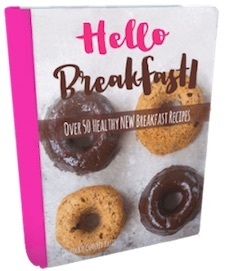 The brownie dip can be vegan, gluten free, egg free, soy free, high protein, and there’s a sugar-free option as well. 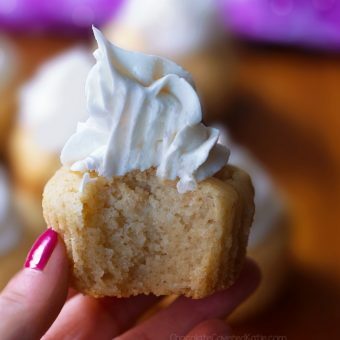 There’s one thing this recipe is not free of, however, and that is addictiveness. Seriously. You’ve been warned. To answer the most common question I receive about this dip, YES you can definitely bake it. 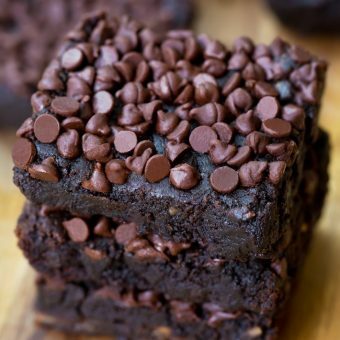 For the baked version, be sure to try this recipe: Black Bean Brownies. Do you ever eat the raw batter when you bake? Someday soon, you might see peanut butter and jelly dip, red velvet dip, and oatmeal raisin dessert hummus here on the blog. 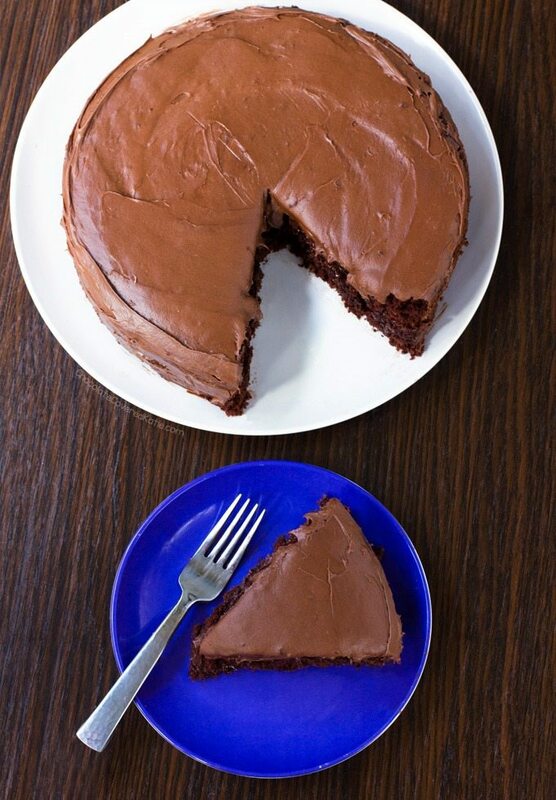 But for today, it’s all about the chocolate. 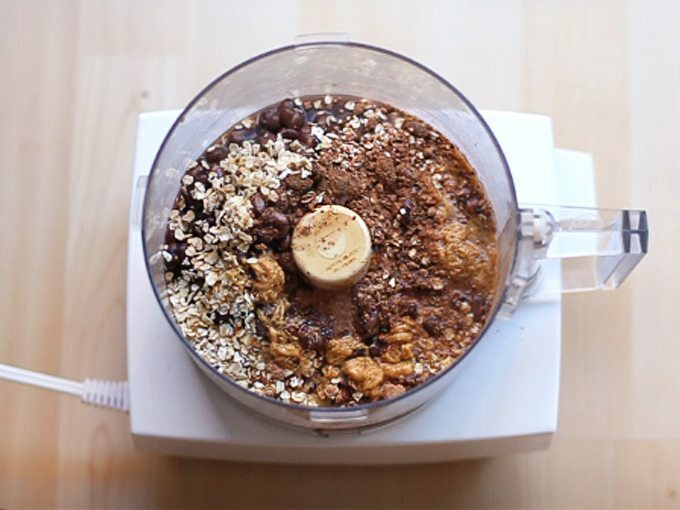 Combine all ingredients except add-ins in a high-quality food processor until completely smooth. Stir in the chocolate chips before serving. Leftovers can be covered and refrigerated 3-4 days. 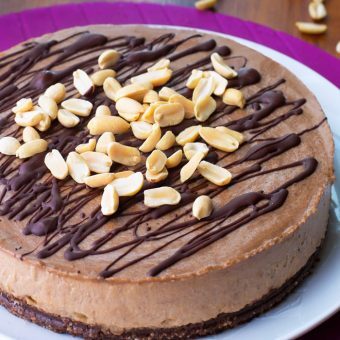 Peanut Butter Pie – Just 5 Ingredients! I’ve made this several times before and LOVE IT! It was inspired by your cookie dough dip, of course. Except I don’t use any nut butter, omit the milk, and double the cocoa powder for an extra thick and super chocolately treat. 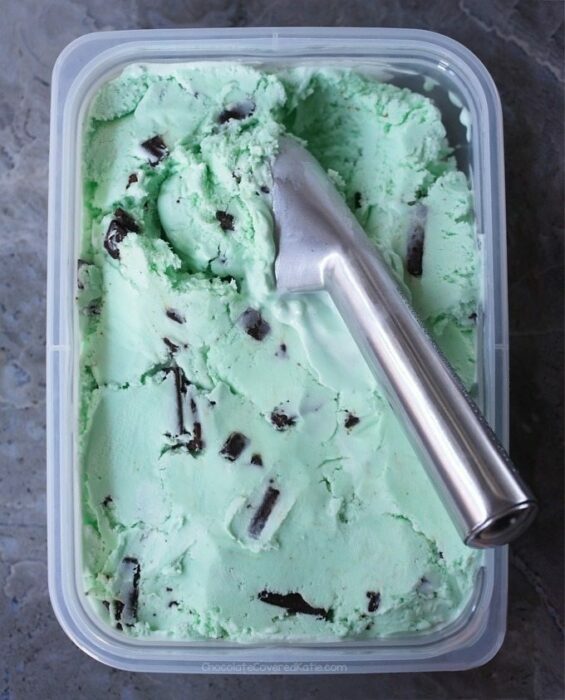 Yummmm… best eaten straight up with a spoon in my opinion! Double the cocoa powder. Now you’re talking! 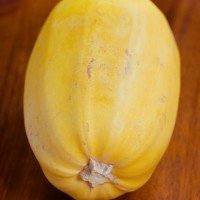 I have been looking at your website off and on for probably over a year at this point for healthy ideas, but this is the first recipe I have actually tried to make. It turned out great! At first I didn’t think my food processor (I have a ninja) was going to blend it, but then I walked away for a few minutes and it was done! My boyfriend tolerated it as well although he referred to it as “chocolate hummus” … lol. Thank you for the recipe!!! Ooooh, yum!! 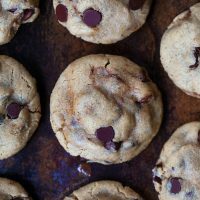 My husband asked me to make ‘that yummy chickpea chocolate chip dip’ again, so I’ll surprise him with this even chocolatier version, and maybe top it with some fresh raspberries from the garden just for fun. 🙂 You’re genius! Raw cookie dough and brownie batter = absolutely yes! I quite often only cook half of any cooke recipe I make, saving the rest of the batter for snack time! sometimes I’ll even freeze raw cookie dough – for some reason it tastes even better when frozen. So good! I could totally see this on a crusty piece of baguette sprinkled with a little sea salt for a savory and sweet dessert. The question should be “do you ever NOT eat the batter when baking” – LOL! Love it! You should try it with black beans too! It’s also amazing! 🙂 I am so glad you experimented with making this one! 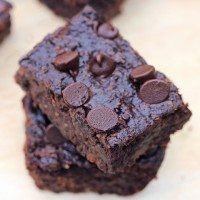 I secretly had to try making it with black beans when I was craving brownies, it’s one that can get addicting. I will have to try your black bean idea! I love eating raw dough. It’s probably the best part of baking and the part i look forward to the most! Also, i know what your talking about when it doesn’t yield as much :/ frustrates me sometimes lol. Oh… My… CHOCOLATE! (“OMC”? 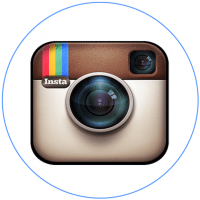 Why does that sound better than the sometimes-annoying “OMG”? Maybe because it involves chocolate…) You’ve done it now. 🙂 I don’t know about you, Katie, but I think you should patent these “__ batter dips”. They’re just too awesome. Well, I love the chocolate chip cookie one, so I bet this one’ll be just as amazing. Oh my chocolate? New favorite phrase! I am thinking this is AMAZING! great for dipping strawberries in! yum!!!!!!! This is right up my alley. Sometimes, I don’t even care about the baked brownies. 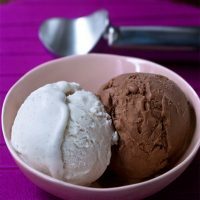 I will whip up a batch just so I can lick the bowl! this looks sooo rich and amazing I need some now! Oh my gosh that looks so good! I should try that too! You could also try cannellini beans, they are very soft and creamy! I was skeptical at first too. But it really is good! 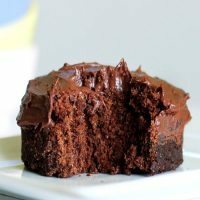 I’ve tried another black bean brownie recipe, and that one was AWFUL! But the deep dish cookie pie recipe on this website made me a believer in the beans for dessert thing! Another trick – drain and rinse the beans really well first. 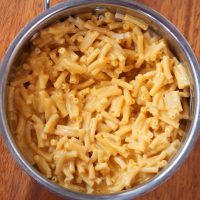 Get all the extra starchy-ness out of them. 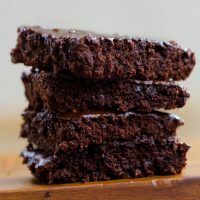 When I make black bean brownies, I rinse, put the beans back in the can and add water back in, puree and add to the dry ingredients. Hmm…I might have to experiment. I tried them in a brownie recipe once and it was just terrible. But maybe there is a way to make them appealing? 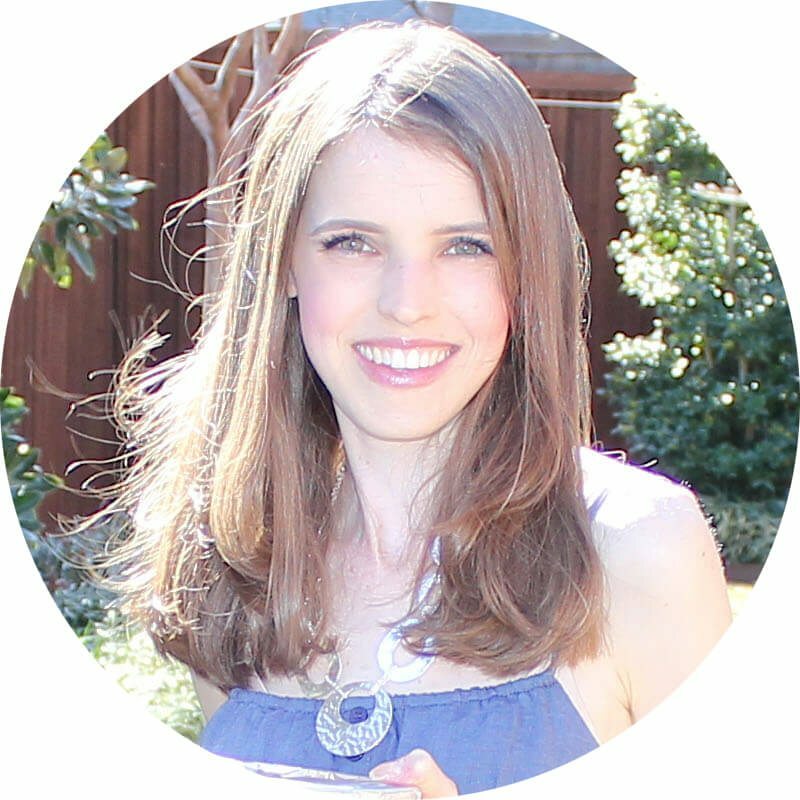 Love this, Katie! I might just have to try it today! Looks yummy…What do dip into the dip, besides a spoon or finger, anyway…? What’s your favorite “dipper” with it? Thanks! You can dip anything! 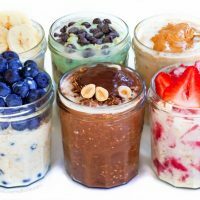 Graham crackers, banana slices, apples, your fingers… I know a few other bloggers have mixed the cookie dough dip into oatmeal or even ice cream! Awww thank you so so much!